Relax, you're home now! Custom-built one-owner block and brick home has 4 bedrooms and 3 full baths plus an office with 2387 sf of living area. 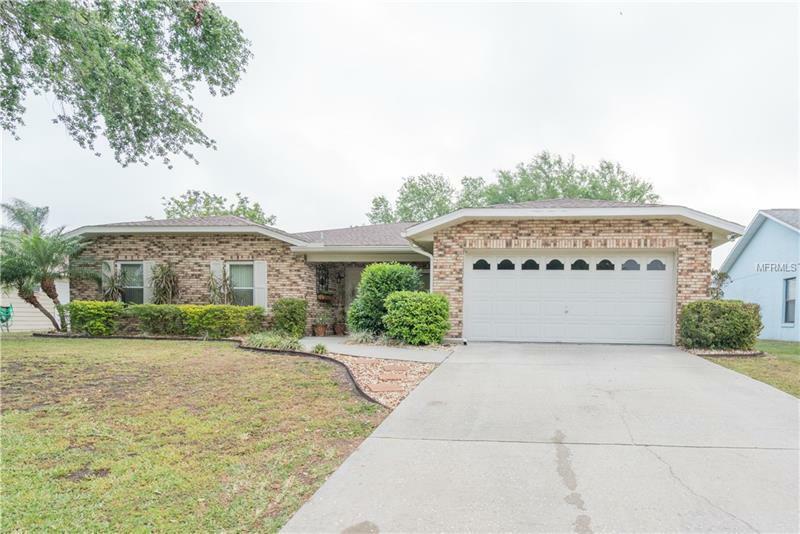 From the covered front porch enter the wide double doors to a lovely open floor plan. The spacious living room is open all the way to the back of the house. Fireplace in the corner, breathtaking kitchen to the right. There is a prep island with double sink, black/brown granite counters and breakfast bar. Range and refrigerator are fingerprint-free stainless steel, there are two pantries and lots of solid wood oak cabinetry, and plenty of room for a dining table by the bay window. From the kitchen enter the laundry room, with utility tub, cabinet space, and storage shelving, which leads to the extra-wide garage. The master suite features a large bedroom and huge walk-in closet, plus a private bath with granite counter, dual sinks, silver-footed claw-foot soaking tub, and custom step-in shower. The second bedroom has its own full bath and walk-in closet. Two more bedrooms share the third full bath. Just off the kitchen is an office. From the living room exit via the French doors with in-glass blinds to the covered lanai, with covered paved walkway along the back of the house. Power bill will be super low, with new energy-efficient 14-seer Trane AC, insulated double pane windows, and extra attic insulation. Low taxes, low HOA dues. Located on the pond, fully fenced, with oak tree shade, at the end of the cul de sac, youâll love the privacy.